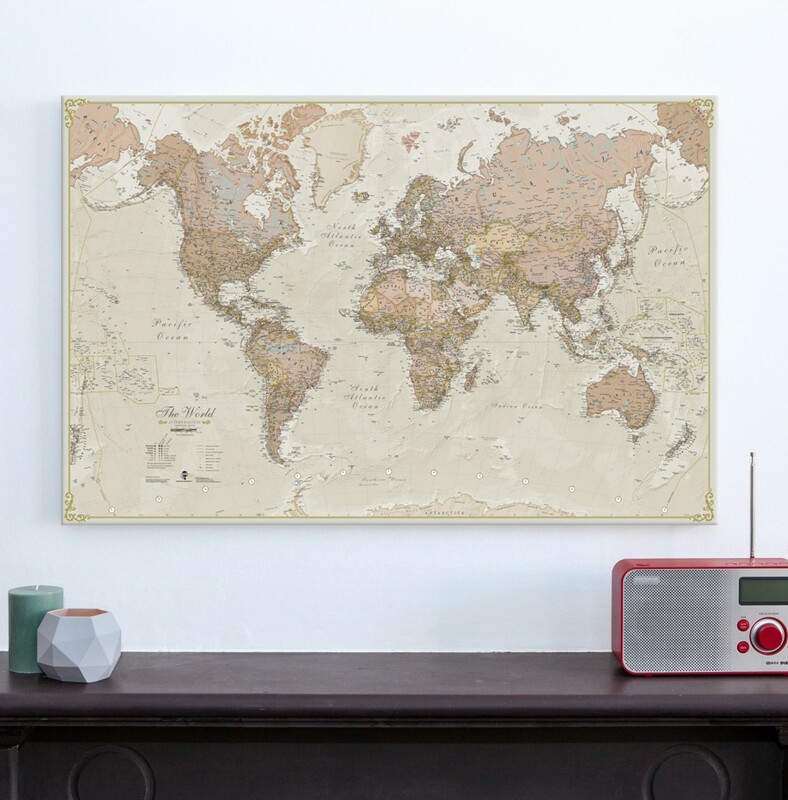 Our antique map canvas uses warm, muted tones and adds a touch of elegance and vintage to the home. 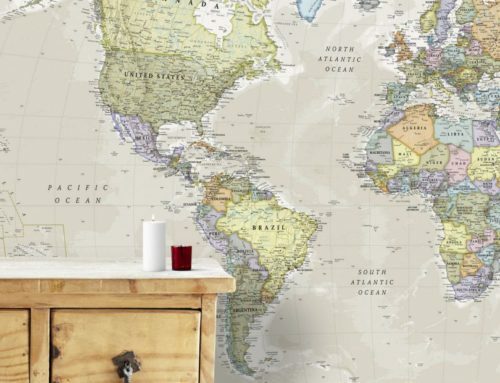 This map also shows political detail, with country boundaries and cities also shown. 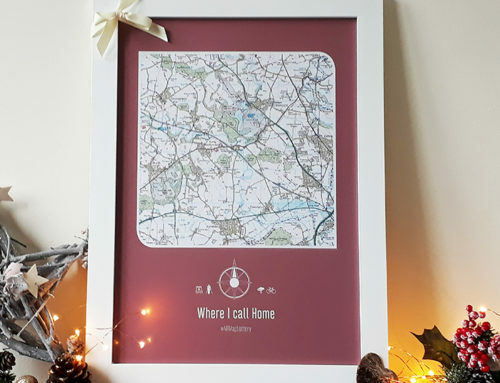 Perfect for the home or office. 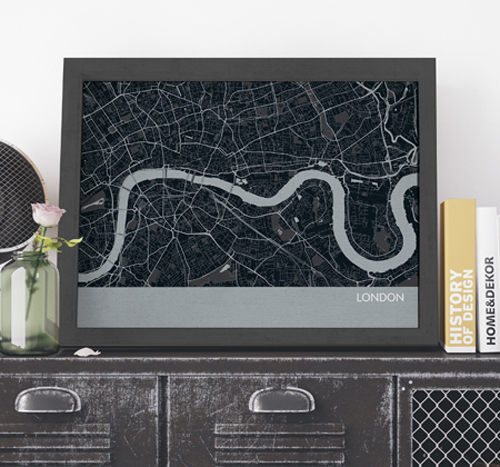 One for the urban explorers, this slick city map print makes an ideal memento of that stunning city break. 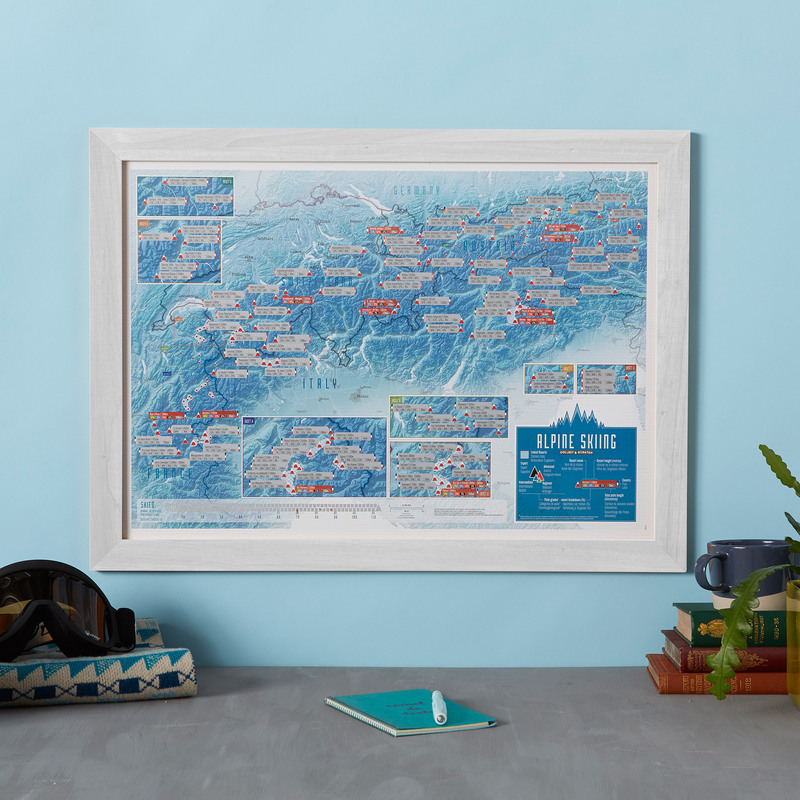 Centred around the River Thames, this map includes the streets of the City of London, with iconic London landmarks also clearly shown. 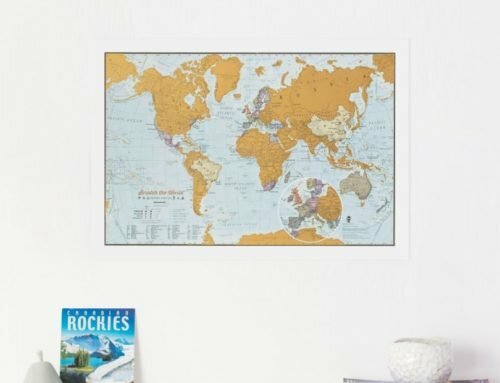 Also available in Mauve, Straw, and Turquoise. 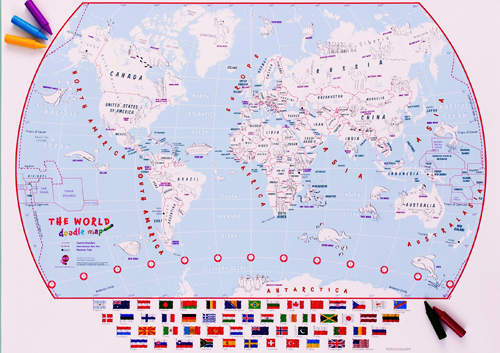 This colourful and interactive learning activity is set to feature in gift guides across the web this Christmas and provides children with the opportunity to make their mark on the world early, whilst also teaching them more about the world they live in. 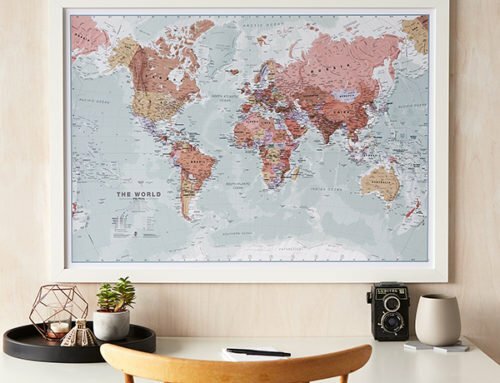 Our Scratch the World prints are some of our best-selling products, and we now have more scratch options than ever before. 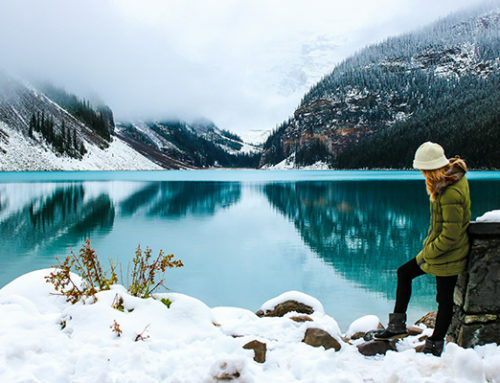 Know someone who has been backpacking around Europe, or just back from the ultimate USA road trip? 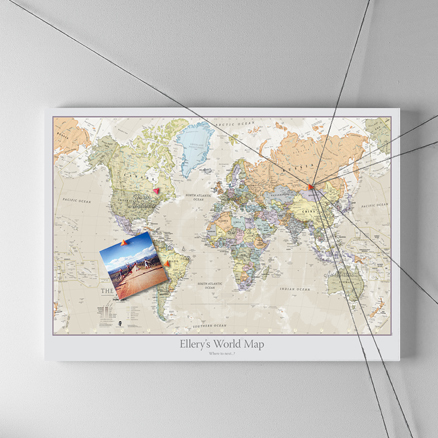 These gifts allow them to relive their journey by scratching off every destination. 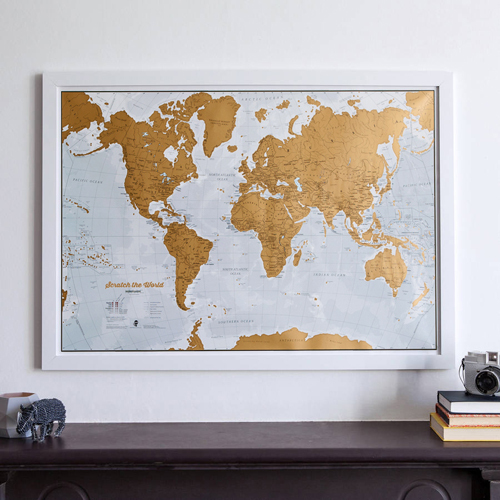 Perhaps the ultimate gift for the travel lover, our classic pinboard map can be customised with a personal message to showcase a truly unique travel story. 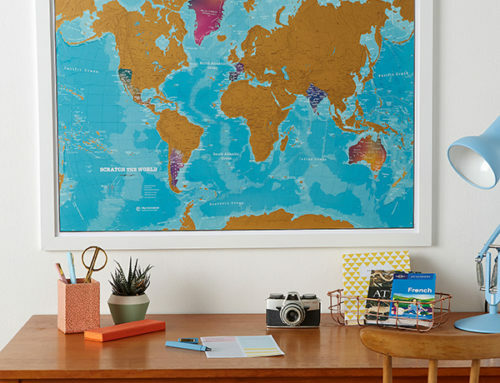 Travel Blogger Mollie Bylett used hers to map out a 4-month solo travel adventure!